Previously in the Architecture Office. Chief architect Herbert Birchbranch (called Herb in the text) realized that quality measures weren’t that easy to use as drivers for architecture. He then tried another approach, mainly based on the Michael Hammer principles “Put processes first” and “Extend your context”. After this the architecture practice became reality for many people in the organisation. He also had a very positive meeting with two representatives from the project office, Ronald and Laura. The result from the meeting with Ronald and Laura was an improvement of the architecture and project interaction model. In reality the strategic dialogue was a little bit out of scope for the current project office, but there still was a business need for architecture dialogue out there. The project office also already had discussed an early assurance procedure for the projects. These two inputs made Herb Birchbranch to improve his working model. Business Dialogue and Start Assurance was added. Start Assurance is a procedure executed on order from the Project Office. It is a quick walk through of the IT strategic principles and high-level architecture principles from the specific projects perspective. 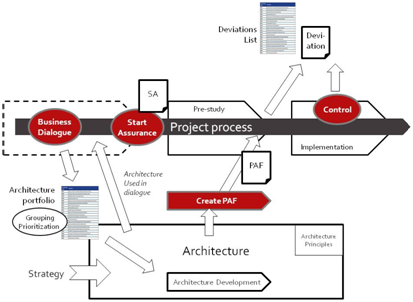 It can be seen as an architecture attachment to the project or pre-study directive. 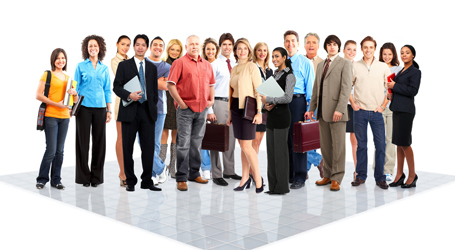 The result is a combination of advices and directives dedicated for the project. The Business Dialogue became a service that the business can order from the Architecture Office. The reasons can be many; impact analysis, feasibility studies, prospect analysis, participation in meetings with suppliers, and more. A day in January Herb was invited to a meeting by David, a consultant working with the implementation of a new system management model. During the meeting two main questions was discussed; what is architecture and how could it be integrated in the system management model? Implement a system management version of the Project Architecture Framework (PAF), the Object Architecture Framework (OAF). 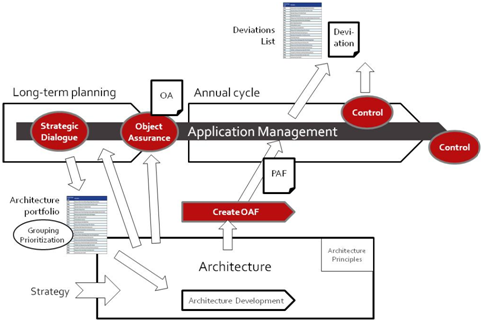 A difference between the PAF and OAF was that the OAF shall be created and maintained by the system management team, with support from the Architecture practice. An efficient way to get the architecture roots more out in the operations, where it is actually supposed to be applied. Implement the procedure for Start Assurance for system management objects or object groups depending on the areas characteristics, Object Assurance. Still Herb has to wait with the implementation until the yearly planning process starts in three months. But he was very satisfied with his small victory. Build your architecture and architecture procedures step by step in continuous dialogue with the stakeholders. If you have to choose, start with architecture procedures integrated in system management model. That will lead to a stronger and more durable realization of the architecture. 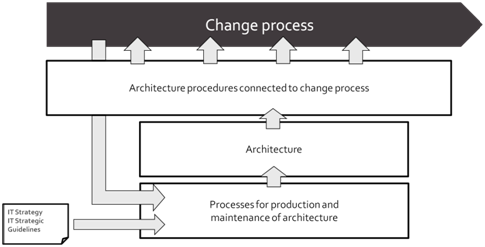 Try to apply the same basic working model for integration of architecture and architecture procedures in the different change processes. Produce architecture distributed under central support and control, especially if the architects are seen as “something else which doesn’t concern me”. Start to create a basic working model to secure harmonization.